In the third round of the 2015 Valero Texas Open, Michael Thompson holes out from 49 feet for birdie on the par-3 16th hole. For the third consecutive round, Michael Thompson shot a one over par 73 at the Valero Texas Open. He is now three over par for the tournament and tied for 27th heading into Sunday's final round. Despite his consistent scoring, each round has taken radically different paths to those 73 strokes. 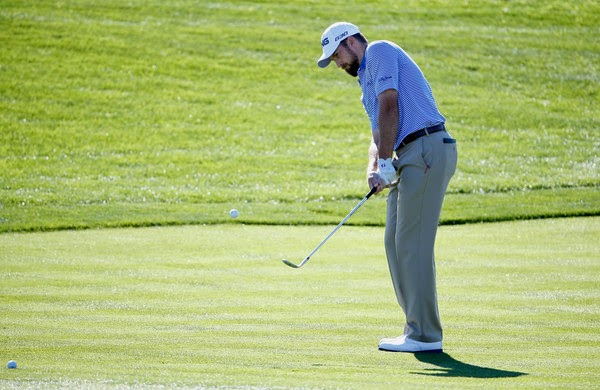 In Saturday's third round Michael minimized his negative holes as he only had two bogeys. He had at least four bogeys in each of his first two rounds. However, he wasn't able to make many birdies since he only hit 5 out of 18 greens in regulation. In fact, he only had one birdie on Saturday when he chipped in for birdie out of the rough on hole #16. Michael tees off from the first hole at 10:05am local time (11:05ET) with Luke Guthrie and John Huh. In the opening round of the 2015 Valero Texas Open, Michael Thompson hits his 144-yard approach in to 4 feet on the par-5 8th hole then holes the putt for birdie. 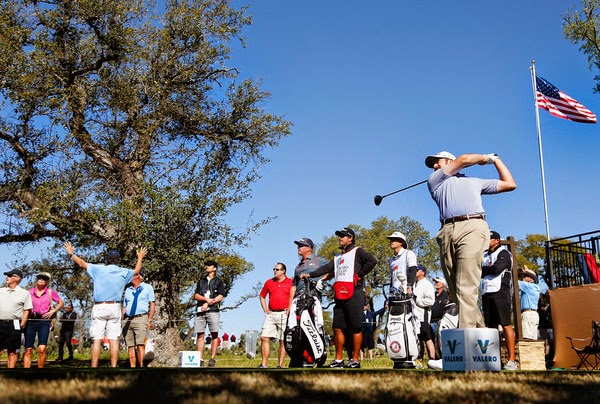 Over the last couple of days at the Valero Texas Open, Michael Thompson posted consecutive rounds of one over par 73 and is currently tied for 26th. The wind has been blowing in San Antonio and the scoring has been high. The cut fell at a hefty six over par. Despite the difficult conditions, Michael has been able to make enough birdies, especially on the par 5's, to compensate for the inevitable bogeys that TPC San Antonio has been handing out. Michael will be playing with Andres Romero and Fabian Gomez for Saturday's third round. They tee off from the first hole at 10:15am local time (11:15am ET). Michael Thompson has found his way into the Lone Star State. 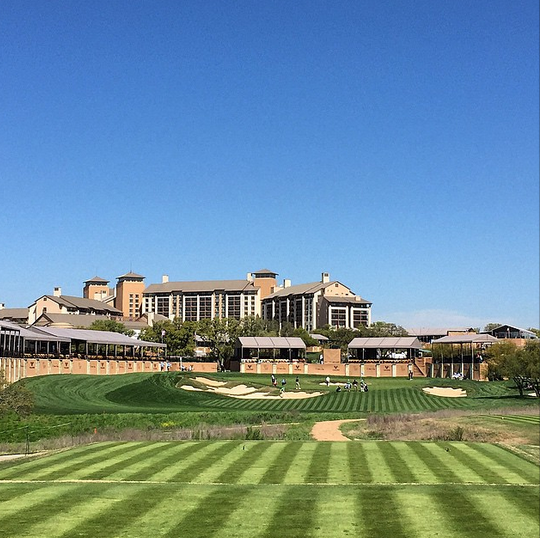 This week's Valero Texas Open in San Antonio marks the first of two PGA Tour events in Texas before the Masters takes place in April. High winds are forecast for Thursday's first round. Michael is grouped with Charley Hoffman and Brian Harmon. They tee off at 1:20pm local time (2:20pm ET) from the first hole. 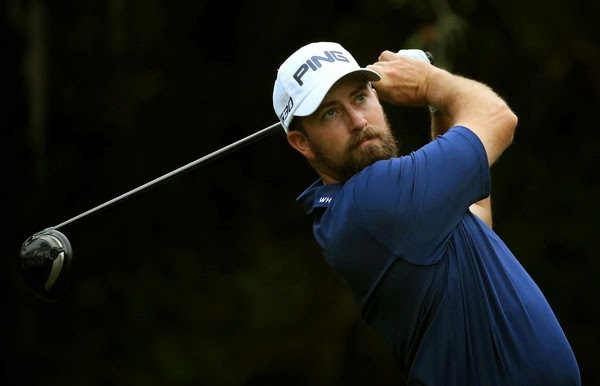 Michael Thompson is headed back to the Copperhead Course at Innisbrook Resort in Palm Harbor, Florida to compete in this year's rendition of the Valspar Championship. The Copperhead Course, a par 71, is unlike most courses in Florida in that it has elevation changes and tree lined fairways to deal with more so than wind and water. Accuracy,both off the tee and into the greens, will be keys to success as the rough is known to be difficult. Length off the tee isn't a major factor either as the course's many dog logs force players to hit less than driver off the tee. 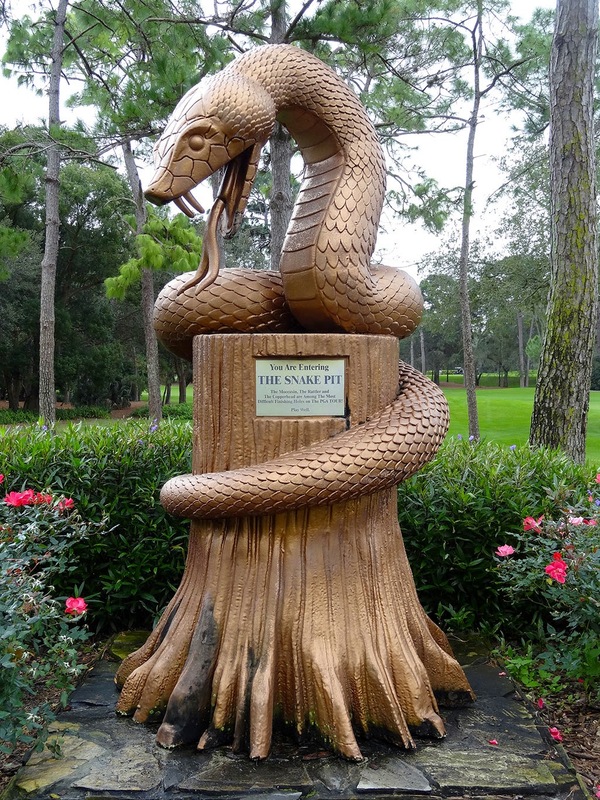 Copperhead is typically ranked inside of the top 10 of most difficult courses on the PGA Tour. Michael is playing the first two rounds with Ben Crane and Brendon Todd. They tee of Thursday morning at 8:45am ET from the 10th hole. 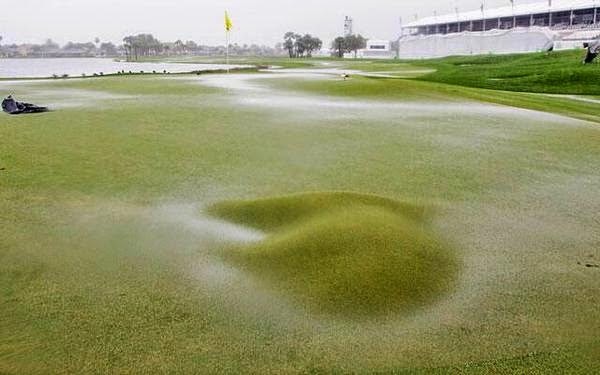 After two days of weather delays, the third round of the Honda Classic is finally underway again. Because the tournament has been delayed so long the field will not be regrouped for the fourth round. The tournament won't finish until Monday. Michael Thompson is currently one under par and tied for 12th after playing 1o holes of his third round at three under par. 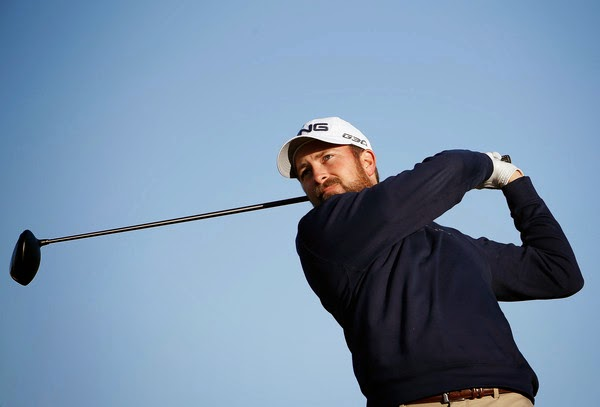 Michael will be playing the final two rounds with Kevin Kisner and Jamie Lovemark.